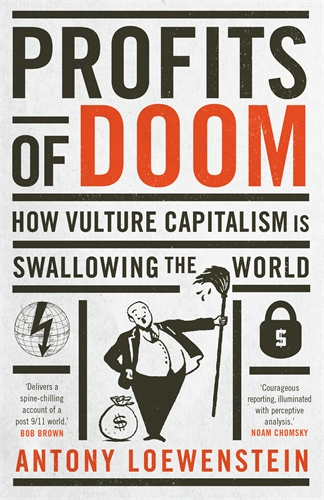 Antony Loewenstein’s book “Profits of Doom – How Vulture Capitalism is Swallowing the World” is an apt extension of the investigations conducted in Naomi Klein’s “The Shock Doctrine” and Jeremy Scahill’s “Blackwater – Rise of the Words Most Powerful Mercenary Army”. What does the book promise/offer? Antony’s focus on giving a voice to those directly impacted by vulture capitalism makes for a refreshingly honest and compelling read. There is no false pretext of neutrality in this book. Antony’s purpose is clear from the get go – to pick up where Klein & Scahill left off exposing massive international industries which profit from the perpetuation of human misery – and there is no doubt he achieves this goal. 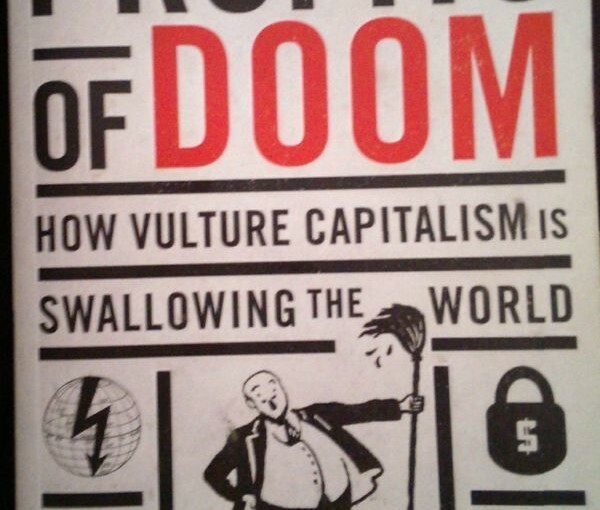 Naomi Klein exposed the history of vulture-like multinational corporations and their exploitation of disasters both natural and man-made to reap massive private profits. Jeremy Scahill examined how unaccountable privatised military organisations grew to be the favoured tool of exploitative governments and corporations, used to enforce unpopular policy and redistribute military spending to achieve maximum private profit from the public purse.